RADNOR, Pa.--(BUSINESS WIRE)--Lincoln Financial Group (NYSE:LNC) was named the recipient of the 2018 Innovation Award by the Life Insurance Direct Marketing Association (LIDMA). 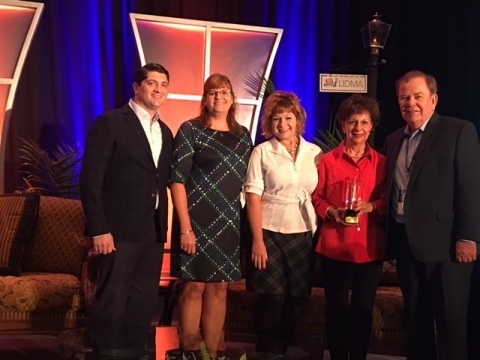 The award – which recognizes a carrier or distributor for an innovation in technology that will change the way insurance is purchased – was presented to Lincoln for its new online scheduling tool and text message reminders for life insurance Tele-App (telephone application) interviews. The LIDMA award recognizes two recent scheduling enhancements launched by Lincoln for its individual Term and permanent life insurance products. One enhancement is a new online scheduling tool that allows clients control and flexibility with scheduling their life insurance application interview at a time that’s most convenient for them. The tool sends an email confirmation and reminder for their interview and allows for the client to cancel or reschedule if needed, at a click of a button. Additionally, Lincoln rolled out text messaging capabilities, which gives clients another fast and easy way to be reminded about their appointments. Clients who opt to receive text messages, receive reminders 24 hours prior to their interview time. Together, these technologies remove the wait time involved in scheduling Tele-App interviews and provides a better experience for both the agent and consumer. The new scheduling enhancements allow applicants to choose their communication preference, see faster turn-around times from application to policy delivery, and in some cases, they help provide an end-to-end electronic life insurance buying process. The enhancements also allow Lincoln to operate more efficiently and with fewer ‘no-show’ interview appointments. The LIDMA Innovation Award was inspired by LIDMA’s eProcess improvement initiatives which have been developed and are continually updated by insurers, service vendors, attorneys and marketers. A panel of judges comprised of Founding members of LIDMA and InsureTech independently submitted votes on finalists for the award.